Our graduates work at Figge Art Museum, Women Studio Workshop, the University of Iowa, and Rosati's Franchising. One of Few Book Arts Programs in the U.S.
Our students use their craft to comment on and contribute to society. Our faculty prepare you for a professional career and life-long involvement in the arts by teaching artistic and technical skills, aesthetic judgment, critical thinking, and historical understanding. 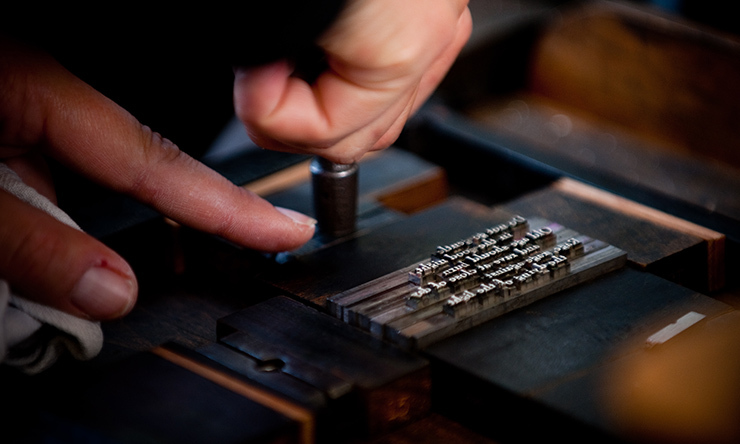 Book Arts encompasses printmaking, papermaking, book binding, screen printing, typography, digital illustration and creative writing. Our Art Department faculty work closely with all students, encouraging them to grow, experiment and follow their creative passion. What have alums from this program done? Heather (Behrens) White '10, a triple major in graphic design, book arts, and marketing, is the Creative Design and Marketing Coordinator for Genesis Health Systems. She was hired after serving as a student design intern for the health services company. Heather also operates a successful freelance design business, Heather White Design. Kim Mahar '10 was so inspired by her book arts studies she went on to a highly-competitive book arts graduate program. Kim's work has been shown in galleries across the country and she recently earned her MFA. 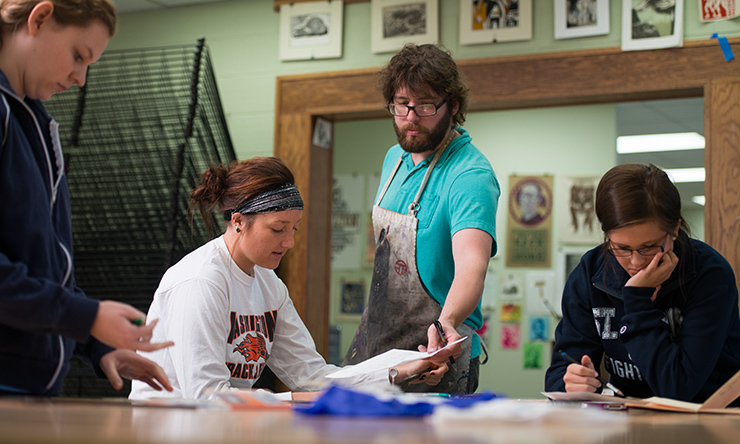 St. Ambrose has outstanding student art facilities in the Galvin Fine Arts Center. 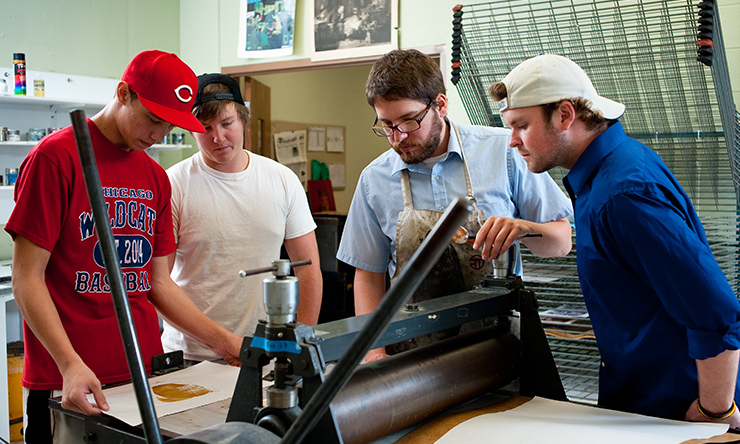 You can explore traditional and non-traditional print techniques in our arts/printmaking studio, which holds a letterpress, lithography, equipment for screen printing, relief, and non-toxic photo processes. Our papermaking studio has a Hollander beater, paper press, and more than a dozen molds and deckles. The Figge Museum studios in downtown Davenport also are used for SAU foundation and advanced courses. Students can visit the museum's collection, attend lectures, and participate in workshops for free. You have many opportunities to explore your talent and connect with others through numerous art organizations and exhibit space within the Quad Cities. Majors also must satisfy the general art requirements (24 credits). This is the suggested plan of study to graduate in four years with a degree in Book Arts. NOTE: This plan assumes the student has not met the foreign language requirement.